Ask yourself, "What would Special Agent Dale Cooper do?" " . . . in returning and rest we shall be saved, in quietness and in confidence shall be our strength . 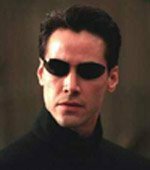 . ."
Here in the age of cyber faith there are on-line astral temples for Elvis worshipers and the Keanic Circle, whose supplicants see Keanu Reeves (Whoa! 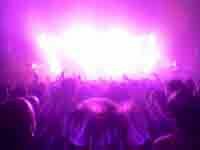 ), the Chosen One of the popular Zen hit The Matrix, basked in “most excellent light.” C.G. Jung made the observation that Eyes in the Sky are characteristic visions of our shift forward in time. This is the one singular difference in the culture of Aquarius, represented in the zodiac by an air sign, and that of the earlier age. It is the shift in the plane of consciousness from the earth and sea, to the air. In Aquarius, we are all sky walkers, not just Luke, Lieutenant Ripley, Captain Kirk and the remarkable hybrid from one of the last Star Trek spin offs, Seven-of-Nine. This is apparent with the advent of flight, space exploration and TV and radio broadcast in the past century. The first intrepid footsteps into the Age of Aquarius occurred in the 1890s thereabouts. They brought a perception of ourselves as flying in the air and sent us producing devises to fly. 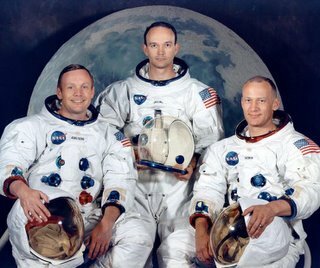 The epochal journey of Neil Armstrong, Edwin Aldrin and Michael Collins (“three men in a boat” – see The Three Celestial Ones in this blog, January, 2006) to the moon in a mission named for the sun god Apollo would mark the great change in July, 1969, just as the Beatles were winding down and John Lennon had married Yoko Ono in his white suit at Gibraltar. Norman Mailer described the interior of the VAB [Vehicle Assembly Building] which built the space craft as “the antechamber of a new Creation.” He dubbed himself Aquarius for the telling of the tale of the flight to the moon in his book Of a Fire on the Moon. And in the spirit of the day, the LEM module, which was used as an escape devise and saved the lives of astronauts Jim Lovell, Fred Haise and Jack Swigert on the troubled flight of Apollo 13, was named Aquarius. But comfort level with air and space-based consciousness did not come easily and perhaps the heroic achievements of the Apollo astronauts were necessary for it to be realized. The astronauts were travelers not only to the moon but to a new condition of human consciousness. Psychologically it was, as Armstrong said, “. 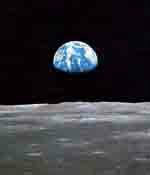 . . one giant step forward for mankind.” Earthrise, seeing the earth rise above the lunar horizon from the moon, would change how we saw ourselves in the universe, wrote mythologist Joseph Campbell, much like Columbus’ journey materially dispelled mediaeval notions that the world was flat. The change would manifest itself in the culture -- the world culture -- at one very precise moment, and history can look back and look forward from that moment. It was in the mid-1970s, and film critic Stanley Kauffman called it an epiphany, “an event in the history of faith.” It was Stephen Spielberg’s movie, Close Encounters of the Third Kind. This movie could be considered a psychological companion piece to Star Wars, where one floats freely in space as if in the interior of the mind. It clears the deck of the tenacious Star Trek state of mind, viewing outsiders in outer space with hostility and suspicion like an imperial conqueror going to other planets. Close Encounters is distinctly different from Sci-fi movies of the 1950s, movies like War of the Worlds, in particular, in which great “eyes” suddenly appear in the cities and blast the cities away. The Fifties response of course was to blast the aliens away before they blasted you, transferring a hostile enemy from Nazi Germany to the U.S.S.R. to an ambiguous alien invasion in ten short years. C.G. Jung was fascinated by U.F.O. sightings in the 1950s and as early as 1946 he began to collect data on people who had “visitations.” He wrote the monograph Flying Saucers: A Modern Myth of Things Seen in the Skies in 1958 and it was translated from the German the following year and included in volume 10 of his Collected Works, Civilization in Transition, in 1964. The learned establishments viewed it with as much trepidation as they did little green men from outer space (air-wise projections of the Green Man there, for the Age of Aquarius – Osiris had a green face as well), but as always, the hippies and the art students got into it right away. The circular space ships are eyes, said Jung. It is the eye of God, the eye of Horus, the sky god, projecting down from the heavens. Jung reversed the flow. We shouldn’t fear these things, he said. We should welcome them. And when we do we will begin to engage the new consciousness. I don’t know if Stephen Spielberg was listening, but I expect he was, as his breathtaking movie Close Encounters of the Third Kind, followed just that prescription. Spielberg’s screenplay is based on the book The UFO Experience (1972) by Dr. J. Allen Hynek, who portrays alien encounters as optimistic, benevolent and loving. The dreamers in the movie follow their visions and welcome the intruders fro Outer Space rather than blast them away. That would set the course. From then on out, Outer Space would be an element we would feel familiar in. Indeed, from then until the end of the century all epics would take place in the air or in space. The Star Wars sage presented a Taoist and Zen primer and would carry for 30 years. There are specific references throughout the series to Zen, Buddhism and Taoism. A “Quigon-ginn” for example, is a Taoist avatar. John Wayne, the 1950s man on horseback, would be the last of the earth-bound heroes. David Duchovny, educated at Yale and Princeton, brought some learned credentials to the show, and in one episode to which he contributed script, there is a retelling of Dostoyevski’s chapter in The Brother’s Karamatsov, “The Grand Inquisitor.” In the X Files version – as in the sci-fi folk lore of the three Men in Black accompanying a new avatar - Christ comes back as an alien and is imprisoned, effectively making the jump to hyper space from the Piscean Age and one of its last, great Christian thinkers and novelists, Dostoyevsky, to the Age of Aquarius. 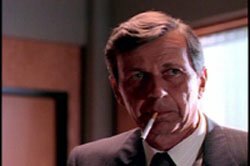 For the record, in the final episode of The X Files on May 19, 2002, in which Scully and Mulder are reunited, the Cigarette-Smoking Man reveals that the world will end on December 22, 2012. That is, the “alien invasion” -- which suggests the new consciousness taking precedence over the old -- will be completed on that day. 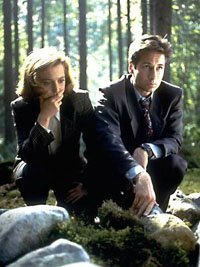 In the final scene, Scully and Mulder realize they are seeking the same thing - he as a UFO investigator and she as a Roman Catholic. Mulder takes Scully’s cross in his hand that she has been wearing on her neck throughout the series. It is interesting that it is exactly that worn by John Lennon in his last pictures with the New York City basketball shirt. It is interesting because in the week in which the Age of Aquarius actually began – Dec. 31/Jan. 1, 2001, the X Files featured an episode written by Mulder with a messiah figure who directly suggests John Lennon. The ultimate Aquarian episode and one of the best is The Blessing Way, in which Mulder is left for dead by the Cigarette Smoking Man, then taken to the Land of the Dead where he meets his father, and is raised again from the dead or near-dead and “born again.” He is guided through the Land of the Dead and brought back by a Native American shaman during the birth of the White Buffalo on a Wisconsin farm, a Native American sign of new Awakening and a harbinger of Aquarius. The X Files’ final regular series episode with Scully and Mulder together is a virtual Nativity scene with alien visitors, complete with guiding star and the Lone Gunmen presented as the three Magi bearing gifts. 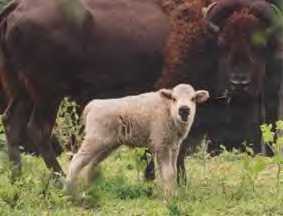 The child Scully bears is ultimately given up for adoption to a family that lives under the flag of the White Buffalo. By the turn of the millennium, but even the tenacious Star Trek crew has turned the corner. One of the very last chapters, Andromeda, staring the dreamy, New Age Kevin Sorbo as Dylan – no authoritarian Captain Kirk, just Dylan – the ship’s commander, casts its crew as “keepers of the way,” a page right out of Lao Tsu and the Tao te Ching, although the commander still has a tendency to break heads. The desire to conquer the universe is a phantom. The Star Trek series began coming “back to earth” in the 1986 feature Star Trek 4: The Voyage Home, the self-paroding tale of the Enterprise crew coming back to earth in the 1980s to save the whales, one of the most engaging of the series, directed by Leonard Nimoy. 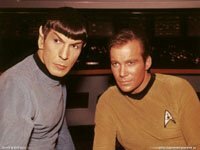 After his retirement from the series William Shatner, who played Captain Kirk in the long-running series, wrote a book called Get a Life about Trekie cult followers. Trekies later became the subject of the hilarious spoof Galaxy Quest with Tim Allen and Sigourney Weaver, who played Captain Kirk’s dark cosmic sister, Lieutenant Ripley, in the Alien series. Trekies aside, Captian Kirk and Lieutenant Ripley are both Master Aquarians working their way through the murky ambiguity unknown of an unknown future. “To boldly go where no man has gone before”; that would be to the new millennium. A few years back a movie in the original genre of War of the Worlds was made called Independence Day. It was a classic right-of-passage movie in which the whole world united in a manly way to blast an alien ship out of the sky that looked a little like a giant flea about the size of the Empire State Building. Presidential hopeful and World War II era veteran Bob Dole attended the opening with Reagan-era culture czar William Bennett (where was Agent Smith?) to publicly declare it “a great movie.” Which it was. But not the kind of thing you see that much of nowadays. 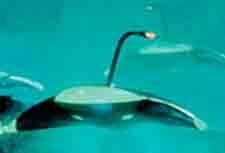 This year Spielberg has made a remake of War of the Worlds and in my opinion it is his best effort and his best movie ever. The Spielberg remake virtually returns the genre to its beginning, folding time back to 1954. It is shot with some dense-looking color process that looks like the movies Jean-Luc Goddard and Francois Truffaut made in the early Fifties with only the barest-of-bones film making equipment. 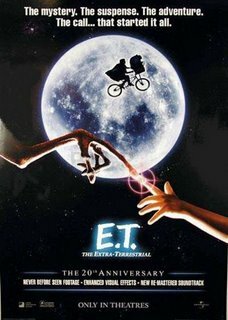 The Extraverted and heroic engagement of the characters reaching out to the aliens in E.T. and Close Encounters is over. The film has more the anxious tempo of Jaws – crowds milling around and tension and chaos building on the streets. It is a father-and-son movie of generations moving in different directions. The movie confirms my observation that somewhere in the interior of the psyche, everyone in the world is either a Yankee fan or a Red Sox fan (see “The Center of the Earth,” October, last). In this movie the father wears a Yankees cap and the son wears a Red Sox cap. And the movie is a journey movie going from an (Extraverted) New York state of mind, with its fast energy and power principle, to an (Introverted) Boston state of mind – staid, provincial, and conservative. When we leave the action and passion of New York behind, we return to ourselves and first principles and begin to cultivate again our own garden. When father abandons his singular adventures (in the sky, in fact - he drives a derrick high above New York City, much like the aliens’ Tripods), he returns home to family. 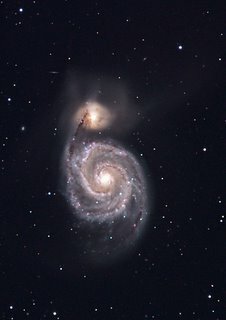 We are a land-based species and cannot live in outer space. It should be the most obvious fact of human nature. By the beginning of the new century we have returned to earth (and to its quality of the Unconscious, Middle Earth). Spielberg's A/I (2001) is a high-tech retelling of the Old World Pinochio story (the myth/dream of an old man at a spiritual loss and carving his Savior/Messiah out of a tree, like the Prague Golem story of the 16th century Rabbi Loeb). In Final Fantasy: The Spirits Within and The Matrix, there is no longer the belief that the alien is really out there, in space, and that we should go after him, but that space fiction and its inhabitants are representative of an inner condition, as it has been right along in the Star Wars series. And in the magnificent animated feature film, Hayao Miyazaki’s Spirited Away, (2002) we re-enter the natural world of earth, air, fire and water that we left behind when we said good bye to Abbess Hildegard in the 12th century. 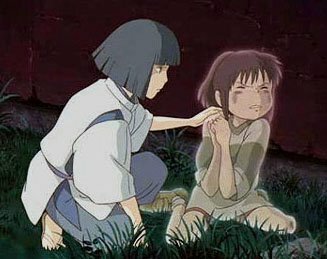 Perhaps like Haku, we will remember our name. As all things looked to the sky in the 1950s, today all paths return to earth. Tolkien’s Rings series enters a state preceding the maedeval period, State of Heaven brings us Christian on Islam war is the 12th century, the best seller The DaVinci Code, contains riddles of a far earlier day and Harry Potter. The Deathless Child of Old England, returns us to where we came. I am outside the earth’s atmosphere, or in another realm. I am sitting in a tree that is growing there. pink, blue and purple, like a magnificent sunrise. and I become the baby and I am crying. 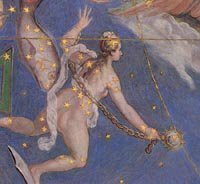 The dream here is a vision of Andromeda, Mother in the Sky, who holds the two fish dangling at the end of the rope. She visits us again. This is a cosmic dream of the new Creation – born female last time, this time a boy. Note: The tv show Survivor and all of its knock offs are "returing to earth" stories as well. These are modern myths, like the UFO phenomena of the 1950s. Tv's epic drama Lost, in the same vein, presents new life on a new place. The place is Earth, but we are unfamiliar with it and its full nature. We are new residents on the Earth (see Quigley, my political blog). If, as C.G. Jung said in his essay, Flying Saucers: A Modern Myth of Things Seen in the Skies, that the UFO phenomenon was a harbinger of times ahead, and in hindsight it appears to have been true, then the same is true of these new stories as they occur at the beginning of the millenium. They lead back to Earth. They are Creation Myths for the new millenium. Bernie Quigley is a prize-winning magazine writer and has worked more than 30 years as a book and magazine editor, political commentator and book, movie, music and art reviewer. 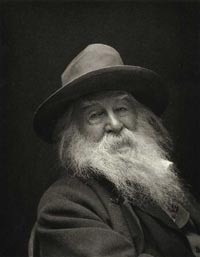 His essays on politics and world affairs have appeared in The Philadelphia Inquirer, The Philadelphia Daily News and other newspapers and magazines. He has published poetry in Painted Bride Quarterly and has written dozens of magazine articles. For 20 years he has been an amateur farmer, raising Tunis sheep and organic vegetables. He lives in the White Mountains with his wife and four children. Who Is Parthalon Flyingsnake DeCoursy?